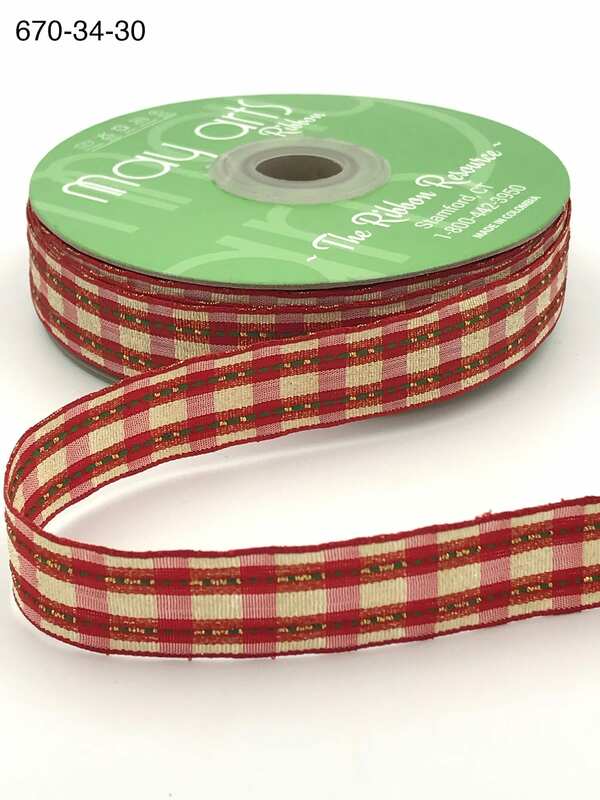 This ~3/4 inch (20mm) metallic red & gold plaid has a thin green stitch highlight. This classic plaid is perfect for any Christmas craft or holiday gift wrapping project. Use on everything from paper crafts, scrapbooking, around confectionery products and more. The wide checkered design is a modern twist on traditional Christmas gingham ribbons. The metallic thread stitched in this ribbon gives this ribbon great stiffness for bows.